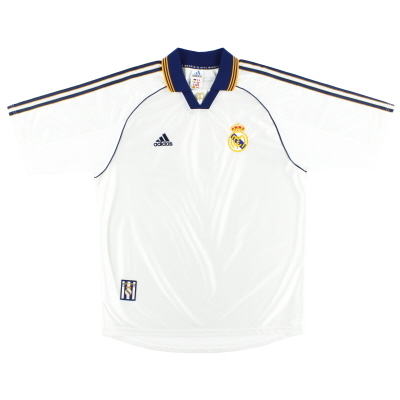 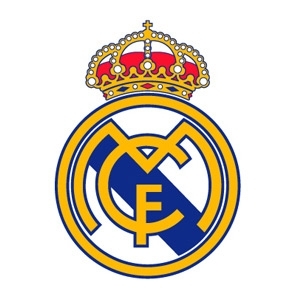 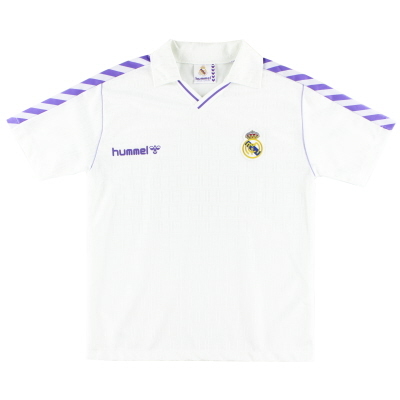 There can be few football kits as iconic and influential as the heroic all- white of Real Madrid, first made famous by the all-conquering side of the 1950s.However when originally formed in 1902, the club’s first kit is listed as being ‘dark shorts, white shirts and dark socks’ before white shorts were adopted.The white shorts remained until 1925 when, after noticing the white shirt and black shorts combo worn by London side Corinthians (then renowned as a club of great sportsmanship and elegance) Real decided to adopt this colour combo. 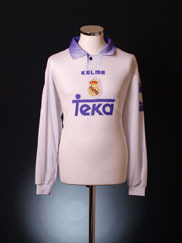 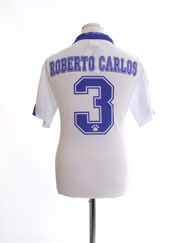 The new outfit lasted for only a year before it was discarded with the club president claiming it brought bad luck to the team.The clean purity of the all-white Real kit lasted until the 80s when Adidas, in line with the fashions of the day, began to adorn the kit with a secondary trim colour, in Real's case purple. 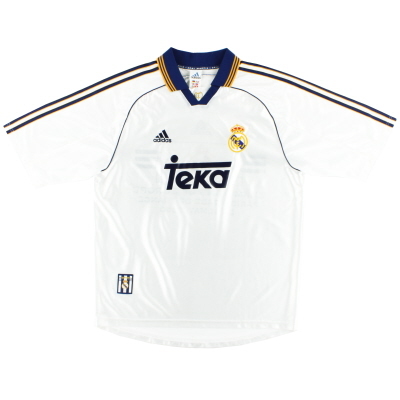 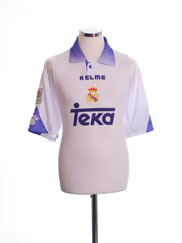 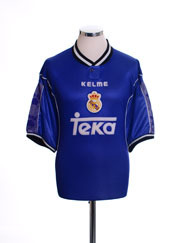 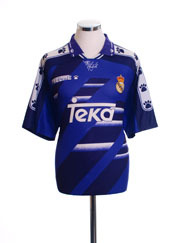 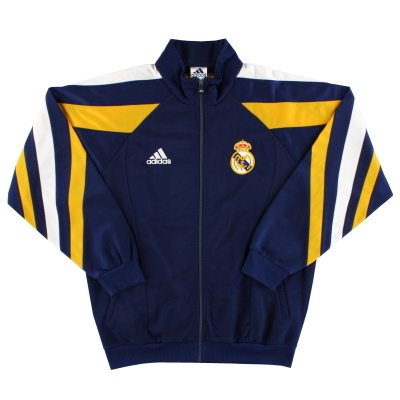 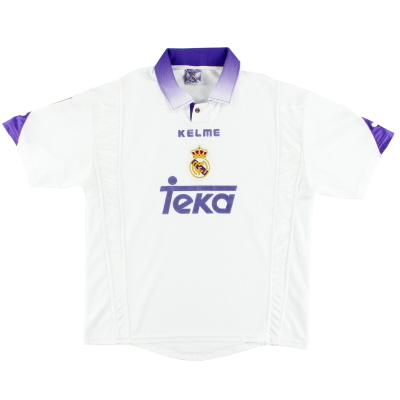 Since then each subsequent kit supplier (Hummel 85-94, Kelme 94-98) have made their own individual mark on the strip.Adidas returned to the Bernabeu in 1998 and have been producing the club kit ever since with the famous white shirt without doubt one of the key kits in their roster. 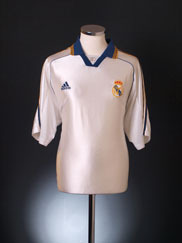 Adidas have subsequently also used blue and black trim on the home shirt at various times.Away from home, blue or purple change kits have been worn although red was also sported on a couple of occasions in the early 70s. 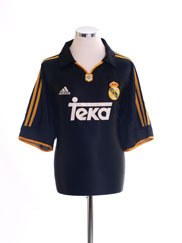 More recently black has been returned to the Real Madrid away kit palette. 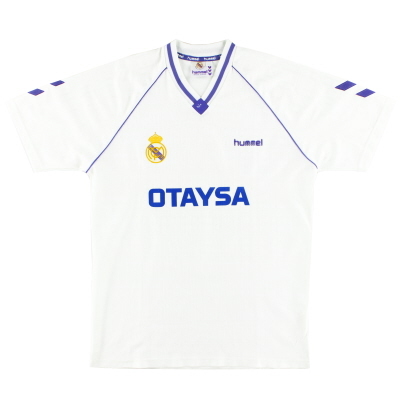 Third kits and special European away kits also began to appear in the 90s and 00s.The club’s first sponsor was Zanussi in 1982 with Parmalat (85-89) and Teka (92-01) among the other companies whose logo has adorned the Real jersey. 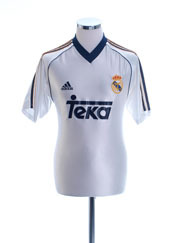 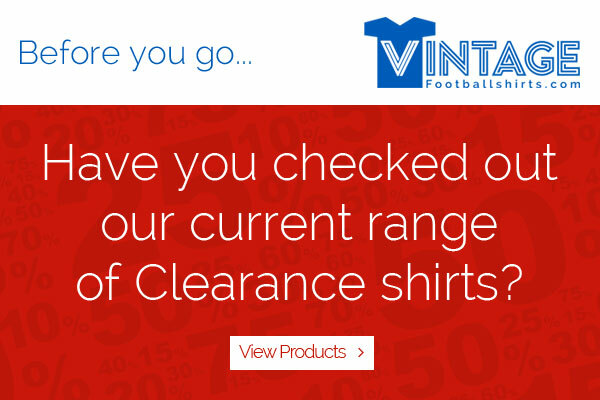 In 2001-02 the club, celebrating their centenary year, promoted their own website on the club shirt with a special commemorative set of home, away and third kits bereft of any form of sponsors logo.